Mmmm…brains. Tasty, tasty brains. As educators, we are constantly confronted with students who are resistant to the “tried and true” methods of instruction; essays, exams and quizzes may play an important role in assessing the acquisition of skills in our learners but the digital native yearns for us to move beyond these methods and speak to their common interests. In this workshop, we will discuss best practices that we have implemented to make subject matters more approachable to learners. If you are interested in participating in this workshop, we ask that you bring an assignment that you use or would like to use in a course that utilizes popular culture as a means of teaching core materials. We will also brainstorm additional ways in which you can apply popular culture into your core curriculum. Do you want to turn your scholarly idea, article, presentation, or book into a volume that reaches a broader audience? This workshop, conducted by author and editor Cynthia Miller and Stephen Ryan, Senior Editor for Rowman & Littlefield, will focus on practical suggestions for framing your scholarly project in ways that will appeal to a wide range of educated readers as well as the scholarly community. The workshop will demonstrate not only how to move from “I’ve got a great idea,” to a book proposal, and beyond; we’ll talk about how to broaden your target audience while retaining scholarly rigor and integrity. Feel free to bring material from current projects to discuss and work on! Not so long ago, self-publishing was sneered at as “vanity presses,” but the Kindle Era has changed all that. Self-publishing is no longer that thing that’s stuffed in a box collecting dust in your rich uncle’s attic. Now indie authors are a commercial powerhouse and an industry in and of themselves. Indies often make the “New York Times” and “USA Today” bestseller lists, and they are routinely perched atop the Amazon lists. New writers find an audience, renegade writers push genre boundaries that defy industry constraints, and established writers with long histories in traditional publishing release new titles independently, where royalties are substantially higher. Succeeding as an indie author is not just a matter of slapping words down and clicking “publish,” however. Finding your audience and making your mark requires real work and a deep understanding of the industry from every perspective—writing, production, marketing, public relations—as well as an understanding of how, what, and with whom you want to create and cultivate your author “brand.” During this workshop, I’ll share with you my experiences as a successful indie author of more than thirty romance novels, (including the bestselling Signal Bend series), and offer some tips about how to find, and define, your success in the industry. 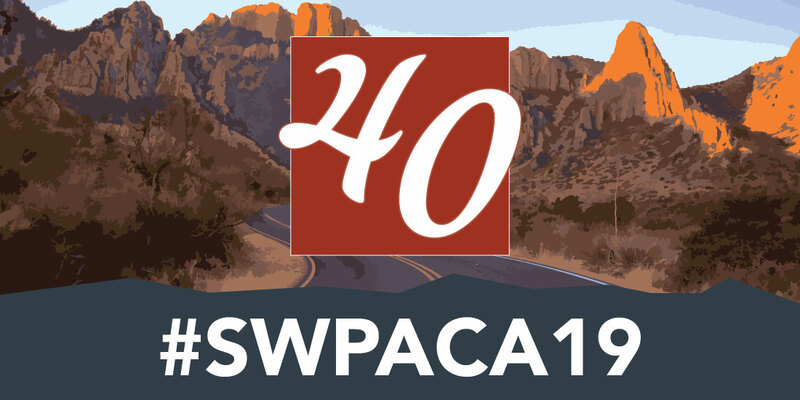 ← #SWPACA19 Call for Papers Deadline Extension!